Alan Trachtenberg's The Incorporation of America describes the process of industrialization and its affects on American culture and society during the Gilded Age. According to Trachtenberg, "economic incorporation wrenched American society from the moorings of familiar values…". The impact of the anxiety associated with the transformation of late 19th century American society can be measured by the growth in advice literature. Advice literature was common throughout the nineteenth century but during the last three decades of the century, over 50 advice magazines and books were published per year (triple what had been published in the beginning of the century). The majority of the readers of advice literature were middle class Americans. Advice literature reflected their definition of culture "in the sense of cultivation and refinement, of formal education and trained aesthetic sensibility" (Trachtenberg p. 9) and focused primarily on the home since it was considered the center of a family's (and society's) morality. 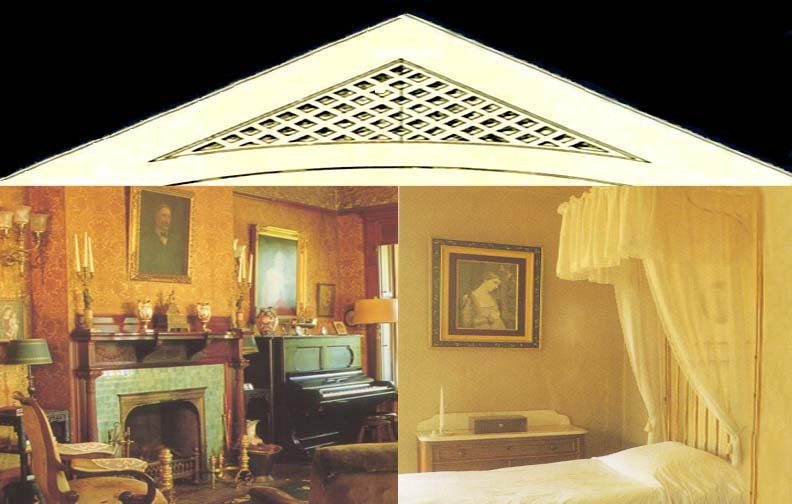 The domestic space had always been considered the center of family life, including religious observation, education, and morality, but when the home was no longer the center of production as well it became a sacred space that needed to be preserved rather than a space that could evolve with the family. The assumption was that the new economy provided men with more opportunities for leisure away from the home and after a long day in a factory, away from familiar surroundings, men would need to return to a tranquil space that would reinforce their morality. 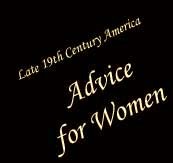 Advice literature taught women how to create and maintain that space and everything in it (including themselves and their children). The purpose of this site is to demonstrate, through illustrations from advice literature and art from the late 19th century, how women's roles were redefined to accommodate the need for a static moral center in the home. Men were also impacted by newly defined gendered spaces and gender roles. However, I will focus on women because of the close relationships between the perception of the middle class wife and the appearance of the home, rising commercialism, and a growing middle class. Women and their homes became symbols of homogeneity and middle class life, and as such, they served as a response to the perceived emerging immigrant and industrialist threat. In a certain respect, for many Americans, the home and women were the last frontier. Americans desperately clung to the idea of a romantic idealized space where children, morality, and culture could flourish without the influence of industrialization. Please visit American Studies @ UVA for more information on the Incorporation of America. Please maximize your screen for the best view of this website. This site was designed in 2002 by lmrt . Women have become the consumer victims of various cures, therapies and normative judgements in different periods (including the prescription to middle-class women to embody and preserve the sacredness of the home - the "scientific" romantization of the home itself). None of these "experts'" advice has been either particularly scientific or women oriented. It has reflected male needs, male fantasies about women, and male interest in controlling women - particularly in the realms of sexuality and motherhood - fused with the requirements of industrial capitalism.